Is the next version of Android going to be Jelly Bean again? Server logs would suggest so! 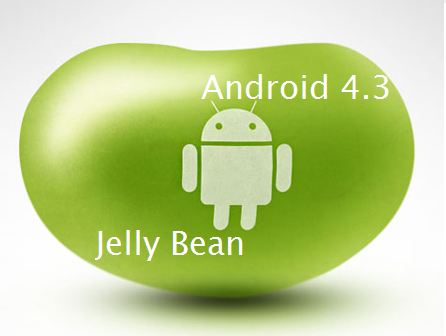 The next version of Android is widely tipped to be landing at Google I/O in a few weeks time, but at the moment we know very little about what features it will have and most people expected to see Android 5 which was speculated to be called Key Lime Pie. The arrival of Android 5 is looking a little less likely now because we've recently seen in server logs at Google! This post over on Reddit has most of the details which point to Android 4.3 being the most likely candidate to take over from Android 4.2.2 at the moment, something which IntoMobile has speculated could be to 'give some breathing space to developers and not push major platform updates so quickly'. There's also the suggestion that the feature upgrades in what Google has ready at this moment don't necessarily warrant a bump to Android 5. All of that sounds quite likely to us and we can expect the update to come to the current range of Nexus devices right away, but we'll have to wait until Google I/O to find out if there's anything else which will be running the software too!